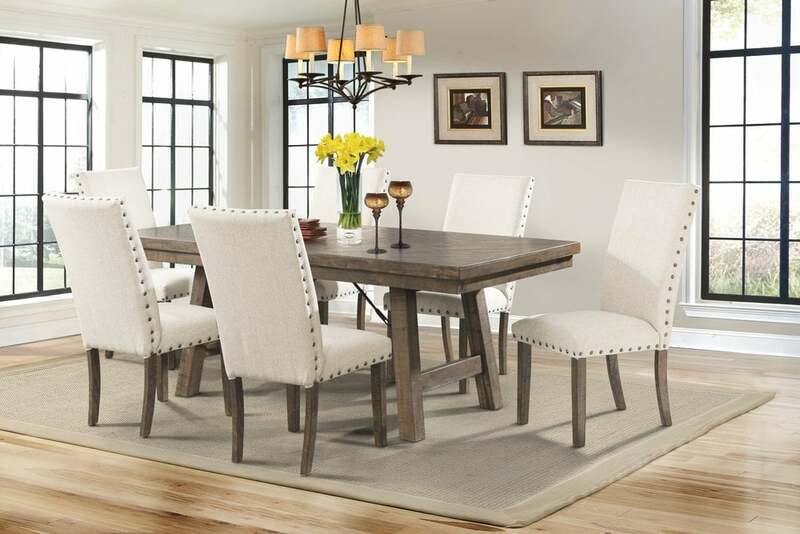 Rustic entertaining is made easy with the Dex dining table. Its smokey walnut finish, unique scored distressing, and earthy wood grain detail create an organic look that’s both inviting and relaxing. Flared legs and turnbuckle metal accents add a contemporary flavor to this charming set.